Built around a contemporary interpretation of the ancient Greek agora, Scorpios is a gathering place meant to galvanize the artistic, spiritual, and social life of the community. Reflecting the belief that we are what we eat, our confident cuisine aims to physically energize, appeal to the senses, and nourish the soul. Founded on the five pillars of music, healing, design, food, and art, our program of collective rituals fosters a spirit of organic togetherness. Nested between the bays of Kavos and Paraga, our organic stretch of coastline is a welcoming place where horizons of blue mix with yellows, golds and pinks born of the generous Cycladic sun. Fresh, regional ingredients drive our simple, modern approach in the kitchen where the focus is on purity, authenticity, and the reinterpretation of iconic recipes. Scorpios embraces the Mediterranean diet not just as a culinary mode but as a lifestyle. It’s the food. It’s the rituals. It’s getting fresh air, sunshine and the right kind of exercise. Scorpios curates a program of collective rituals meant to raise awareness, connect likeminded people, inspire change, and promote mindfulness. 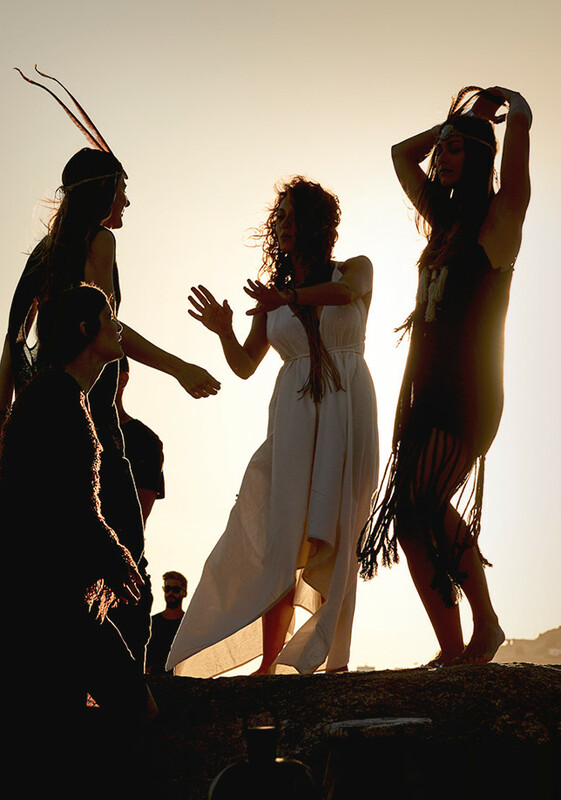 From yoga and sunset rituals to meditation and daily music sets, our program of collective rituals fosters a spirit of organic togetherness. On a sun-drenched southern tip of Mykonos, a weatherworn house is transformed into a modern day agora. 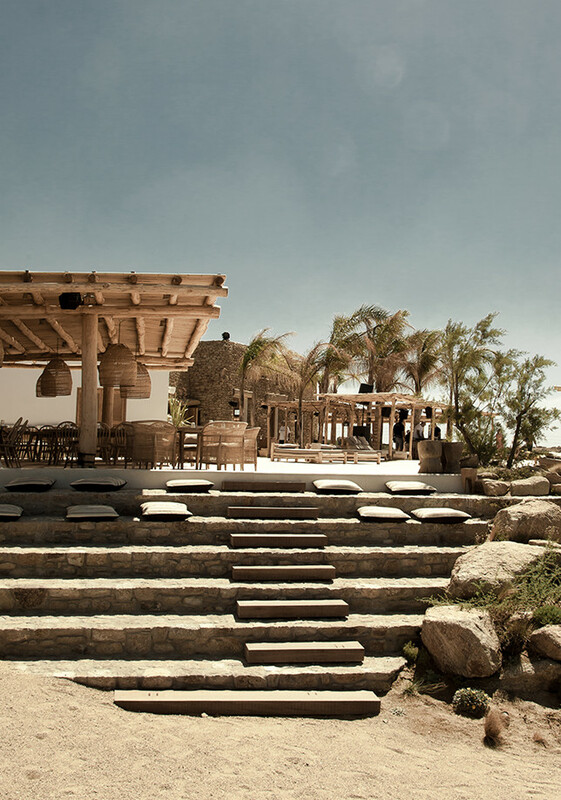 The beachside lair encompasses a sandy beach, restaurant, and live event space, along with ample open-air terraces spilling into the Cycladic coastline. Scorpios nurtures a diverse creative community, from healers and visual artists to renowned DJs and experimental musicians. Curated by the Yucatan-based organic textile brand Caravana, the Scorpios Bazaar carries a collection of artisanal brands that preserve handiwork traditions while drawing influence from the raw Mediterranean landscape.